SKU: WS357 9X12. Categories: Funny Pet Signs, Novelty Signs, Pet Signs. Tags: dog, pug, Warning Signs. Pugs originated from China and though they don’t look like much, they’ve got a history of being great protectors. A famous pug, Pompey, in 1572, saved the life of the Prince of Orange by alerting him to the approach of assassins. 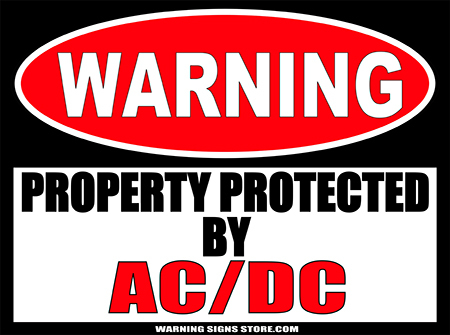 How’s that for protection? 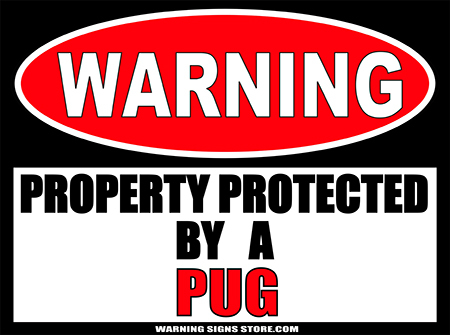 This Property Protected by a Pug sticker measures out to approximately 9″ x 12″. It is printed in a glossy finish with eco-friendly inks on a premium vinyl polymer. Our inks are UV resistant and designed to last 7-10 years, indoors or out.